him for a lot of events, holidays, birthdays, and one very long tour he did overseas in Iraq, they are proud of him and what he stands for: Freedom. his military career. And so, even though he and I are no longer married, I am proud of him as well. a little late in the game so this will be his last promotion.) And, I have to think, with all the supporters, friends, and family that were present, perhaps it was the best? and the knowledge that their dad stands behind them in all that they do. And to that I say, HUA, Sergeant Major Abouhalkah! HUA! So, as you celebrate this Fourth of July with fireworks, potlucks and good friends, remember those who stand between you and all that threatens that freedom. And, perhaps, say a word of thanks. 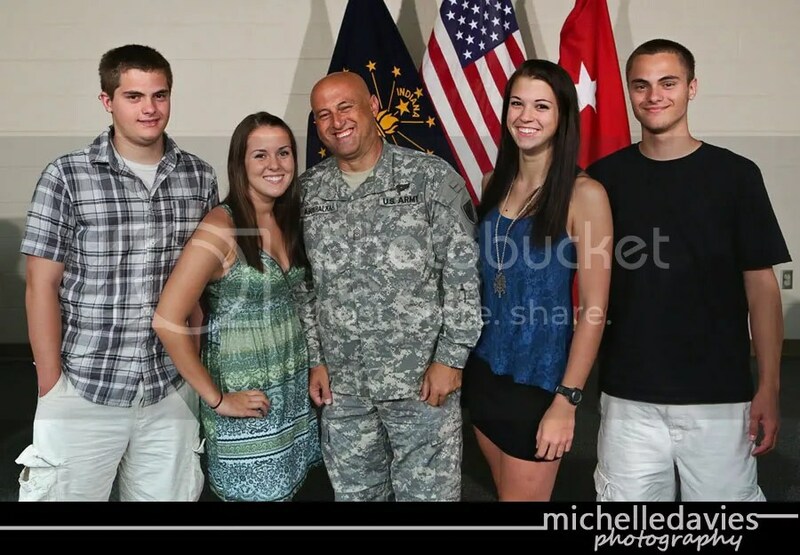 Gorgeous family and thank your husband for his sacrifice and service!!! As the daughter of a Vietnam Vet, the Army (and the rest of the military) will always hold a special place in my heart. Happy Independence Day and thank you for your husband’s service and for being a strong military wife!